Home // About Us // Connections Newsletter // Winter 2019 Achievements Edition // Watch This! For a glimpse of what the future of our educational programming might look like – watch this. Use of video as a medium for transmitting information has been expanding at The Ohio State University South Centers. Following its largest ever period of growth in 2018, and with ambitious plans in the works, 2019 looks poised to be the best year yet for video. What’s more, utilizing video technology is a key part of the South Centers strategic plan for how programming will be delivered to stakeholders, partners, and residents – and thus an even greater emphasis will be placed on it moving forward. South Centers, along with the University of Rio Grande, for years now, have collaborated in the production of educational videos, but clearly the best days for video still lie ahead. New shows, formats, and use cases are all under development, and you will begin to see the medium being used more prolifically as the year progresses. Currently, most of the video content produced by the two educational partners take the form of a talk format with a host(s) and guests, covering a variety of topics including scientific research, community, Extension, education, business, and spirituality. “We try to provide a variety of different content for those individuals who specifically have a need for them,” said Executive Producer Patrick Dengel, who heads up the collaboration between the two entities and has his hand in pretty much every aspect of the operation – he hosts, produces, promotes, and anything else that needs done. Some of the most popular programs include those with an agriculture and natural resources-based theme like John Grimes’ Ag News, a show focused on issues facing the beef industry, and Natural Resources Specialist Dave Apsley’s Tree Talk. Another popular show, however, is hosted by Dustin Homan and titled Culture Cast. Homan’s work with international youth development takes center stage on the show, where he interviews college students about their adventures studying abroad. “The reason we have so many categories of shows is … not everyone is interested in agriculture, and not everyone is interested in Extension work, but they may be interested in something like our dog training program or our arts and culture shows,” Dengel explained. Dengel’s team includes Program Managers Duane Rigsby and Mike Thompson, of South Centers and Rio Grande, respectively, and South Centers Production Director Sarah Swanson. The number of different monthly shows the team churns out has grown to around 38 over the years, and there are currently around 46 hosts who appear either on a regular or part-time basis. These various programs are streamed live on Wednesdays (Rio Grande) and Thursdays (South Centers), and are always available on demand on YouTube. Additionally, all shows are also carried on PTV (Perkins Telecommunications), a public educational access channel located in the Youngstown area, and select shows also air on Rio Grande Cable Access and Hillsboro public access television. The South Centers YouTube channel, which had 147 public uploads in 2018, saw massive gains in nearly every measurable. The channel nearly doubled in the major categories of subscribers gained, total views, and minutes watched. The channel also grew in the sense that hosts from outside the South Centers campus are getting on board, such as CFAES Dean Dr. Cathann Kress, Melissa Vince with the Ohio Bureau of Worker’s Compensation, and various Extension educators like Christine Gelley, who hosts one of the most popular new shows, Forage Focus. “I think it is fantastic. Bringing in outside talent also brings South Centers recognition in the fact that we are doing something very positive that they can incorporate,” stated Dengel. In 2018, video production at South Centers also got a new home, moving from “BOB” (a colloquialism for the building out back) to a larger space on the second floor of the Endeavor Center. Looking ahead to 2019, Dengel says he is looking at diversifying the content you will see on the channel. The approximate half hour talk formats are not going anywhere, but plans call for the inclusion of shorter videos that focus on more specific topics. The use of video, particularly through a platform as immensely popular as YouTube, will also help South Centers and Rio Grande reach a younger demographic, according to Rigsby, who in addition to a program manager for video projects, also serves as Technology Coordinator at South Centers. So in addition to what is already being done, what is the next step in growing the footprint of video content? Dr. Worley is encouraging all programs at South Centers to embrace the medium and find ways to utilize it. “I encourage all of our program specialist and staff to engage in applying these delivery methods,” he said. Dengel also says he would love to see one of the shows be picked up and aired on an NPR station, and to gain even more traction on more public education television stations. 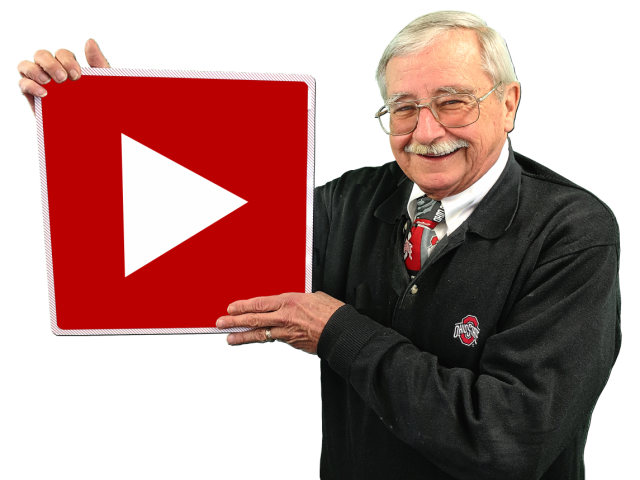 Anyone interested in either hosting a show, or if you are affiliated with a television station that is interested in carrying educational shows from OSU South Centers and the University of Rio Grande, contact Dengel by calling 740-708-7810 or email him at dengel.3@osu.edu.